Although less well known than their competitors in the children’s building block market, Nanoblock manufacture traditional children’s model making kits using the ‘raised dot’ blocks which any child or parent will know well. 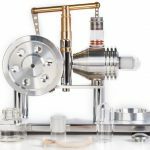 This kit allows children to create a model of a tank locomotive – a steam engine without a tender, to you and me – and includes over 800 individual building blocks for just this purpose. Don’t worry though, it comes with instructions and a picture to follow too. Just as with all building block toys, this kit isn’t suitable for children aged under 3 years as they may choke on the pieces. The manufacturer recommended age group is from 12 years and older, with adult supervision. With that aside, however, it is sure to be enjoyed by young and old alike. 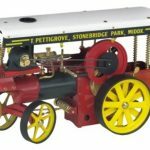 Once built, the model depicts a black steam locomotive, pausing at a signal as it journeys along a railway line through pleasant green countryside. Youngsters will be enthralled by the romance and magic of steam, while the older generation will become equally fascinated by the details contained in the model and in reminiscing of times past. The 800 blocks included in this model kit are manufactured from the highest quality materials and are compatible with other kits in the Advanced Hobbies Collection from Nanoblock. You may also find that they fit with building blocks from a certain other well-known company. Playing with Nanoblock helps children develop their planning and organisational skills as well as encouraging creative play and building imagination. Children can use the included blocks to build anything that their imagination can create, and by extending the kit with other Nanoblocks, can stretch the limits even further. Unlike some cheaper makes and models of building block, Nanoblocks are carefully designed, precision manufactured and constructed from high-quality materials to ensure that you never experience the frustration of blocks sticking or not fitting. All Nanoblock products work together seamlessly and fit each other with perfection and precision to give the best possible experience when building. 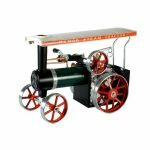 The steam locomotive model is easy to build following the included instructions and the picture on the box. You will be fascinated to see it develop, layer by layer, as you construct it and will end up with a model reminiscent of something from a Ghibli movie. The locomotive itself is in the Japanese style, with plenty of extra ‘knobbly bits’ and details such as coal in the bunker. 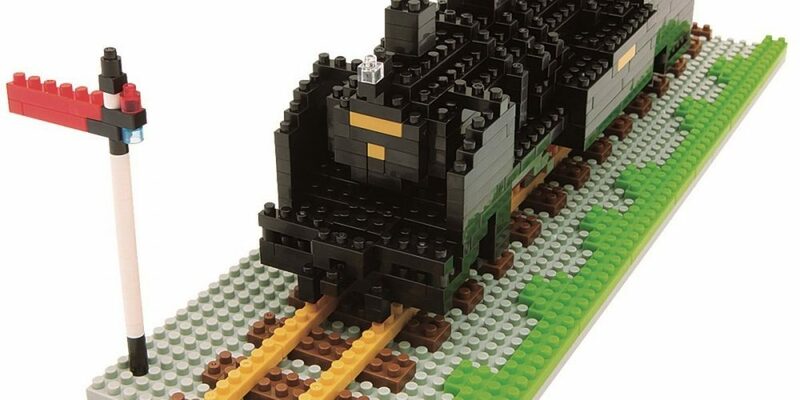 Once the Nanoblock Steam Locomotive is completed, the finished item will look fantastic adorning any child’s bedroom (or an older child’s den) or can be taken apart and the blocks used to construct anything else that your heart desires. Develops children’s imagination, creativity, organisation, and planning skills.